Hotel Hotel's Grand Staircase is a dramatic feature. 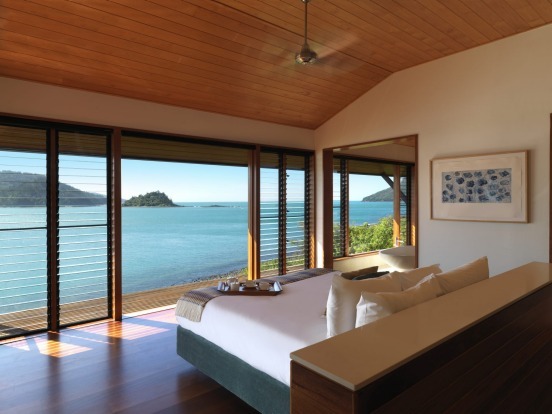 Qualia Resort, Hamilton Island, Queensland. Two weeks after the makers of Mad Max: Fury Road walked off with half a dozen Oscars in Los Angeles, another group of Australians were making it big at a very different awards night on the other side of the world. 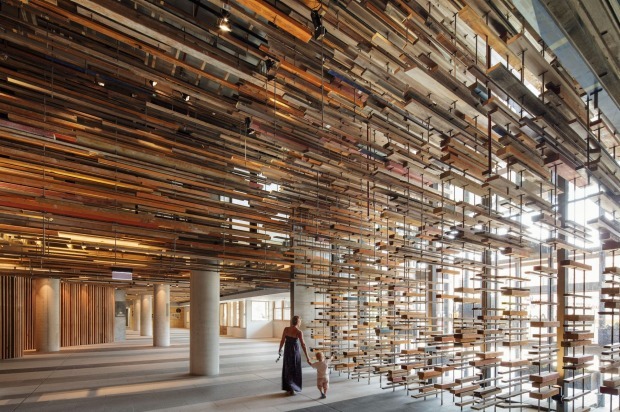 At the Asia Hotel Design Awards, held in March in Singapore, a number of Australian architects and designers were honoured for their cutting-edge work. 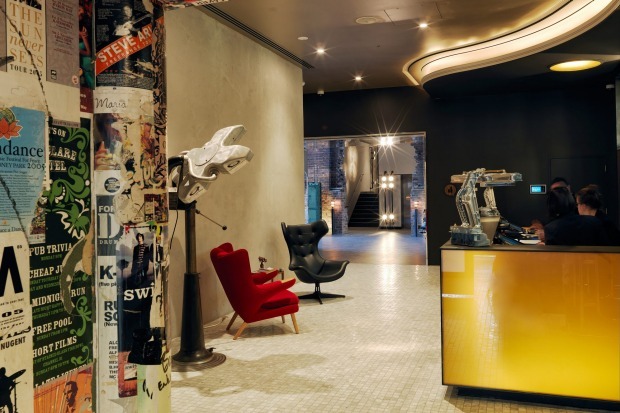 The winners included Melbourne's BAR Studios, which scored four awards for its design of the Rosewood Beijing hotel, and Sydney's Tonkin Zulaikha Greer, which received the Urban Design award for The Old Clare Hotel in Sydney's gritty inner-city Chippendale. 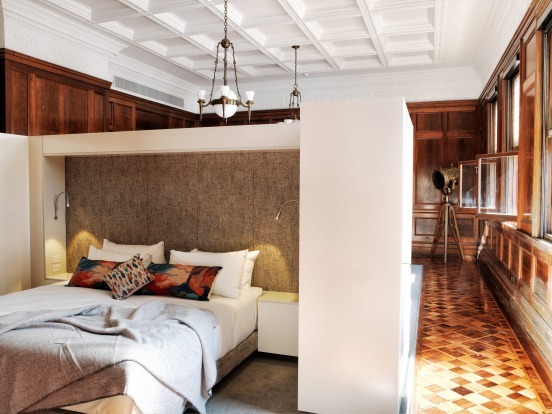 Tonkin Zulaikha Greer is hoping to repeat the feat this June in New York, where it has been named among the five finalists in the Lifestyle Hotel Category at the Hotel Design Awards, competing against high-profile properties such as New York's Sixty Soho. 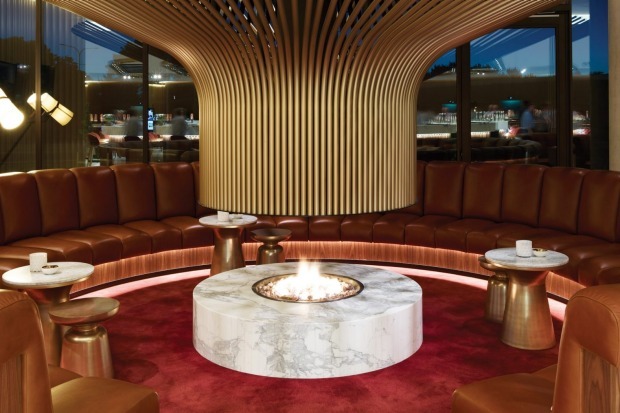 Australian hotel design is on a roll – and not before time. For too long the owners and developers our hotels chose to play it safe, with don't-scare-the-horses design that felt decades behind the bold, inventive approaches appearing elsewhere in the world. 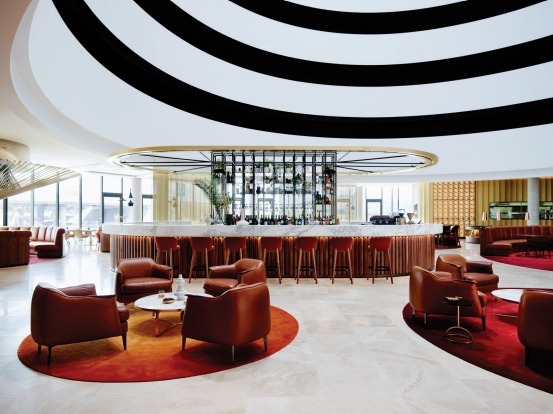 While a handful of talented Australian architects built careers overseas, local properties were noticeably lacking the spectacular lobbies, the seductive rooms and the sort of eclectic design that, as acclaimed hotel designer Kit Kemp puts it, "draws you in [and] captivates your imagination". Now that is all changing. 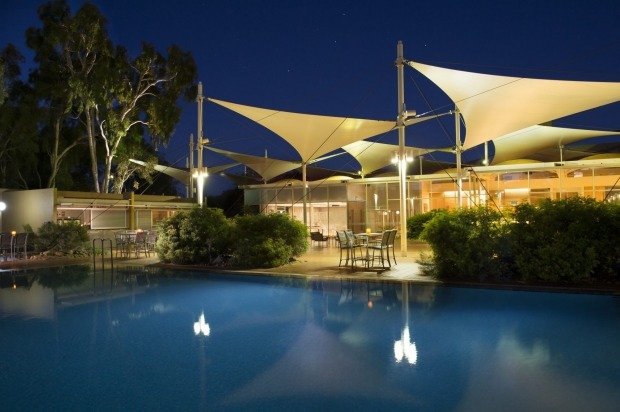 A new crop of Australian hotels has shown what our designers can do when given the opportunity. 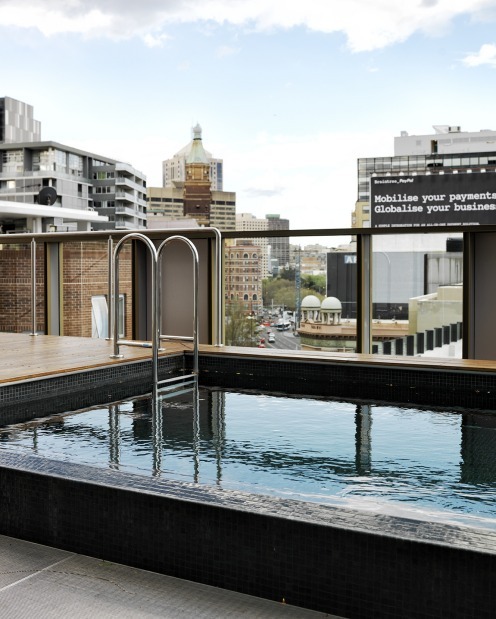 Take the Old Clare Hotel in Sydney, which straddles two old buildings on the former site of the Carlton-United Brewery. 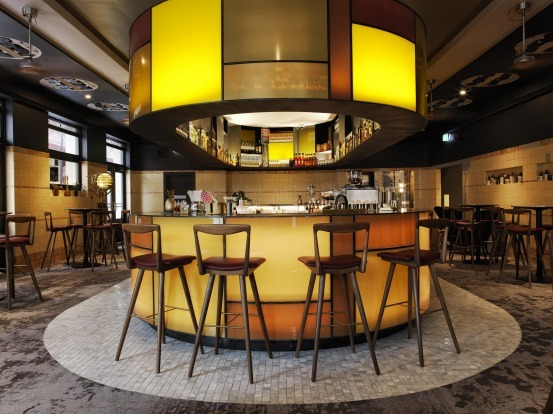 Its rooms feature an industrial-style fitout, while the bar – located in an old pub – draws on eclectic influences including art deco and grunge. 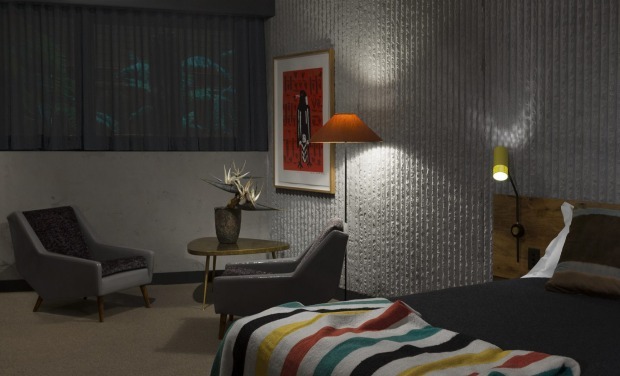 Perth's two newest hotels could not be more different. The neoclassical exterior of COMO The Treasury hides luxurious yet pared-back interiors punctuated with prints of Western Australian wildflowers; across town, while The Alex in Perth's inner-city Northbridge channels a hipster vibe, with casual communal areas and an open bar that operates on an honours system. 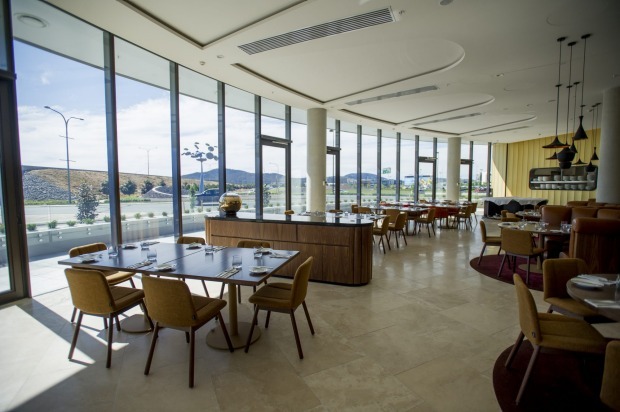 The unlikely centre of the Australian hotel design boom is Canberra, which has been in the spotlight since the opening of Hotel Hotel two years ago. Still the most ambitious design property in Australia, the tautologically-titled hotel – which boasts a fistful of awards, including a gong for World Interior of the Year from Singapore's World Architecture Festival and the National Award for Interior Architecture from the Australian Institute of Architects – surprises visitors at every turn. 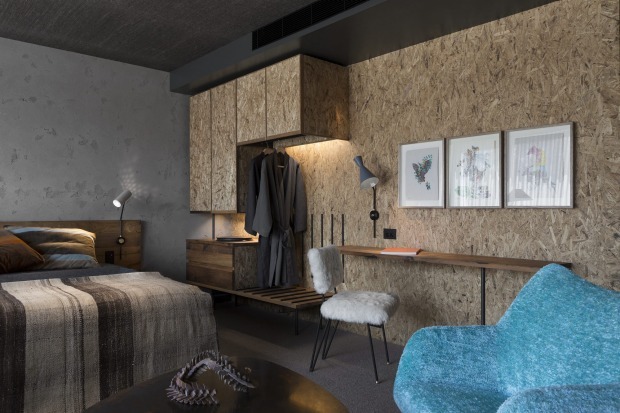 The design ethos, inspired by the Australian shack and emphasising the handmade and the salvaged, can be seen in everything from the hotel corridors, which resemble mine shafts, to the bedheads made of salvaged oak. 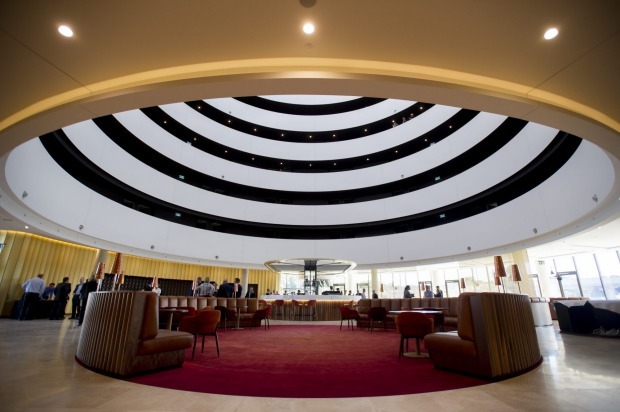 Joining Hotel Hotel is the freshly-unveiled Vibe Hotel Canberra Airport, with a dramatic centrepiece in the shape of a spiral dome clearly modelled on Frank Lloyd Wright's Guggenheim Museum in New York. 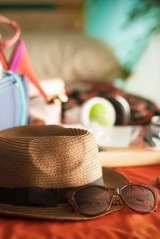 That sense of personality has become essential to a hotel's success. 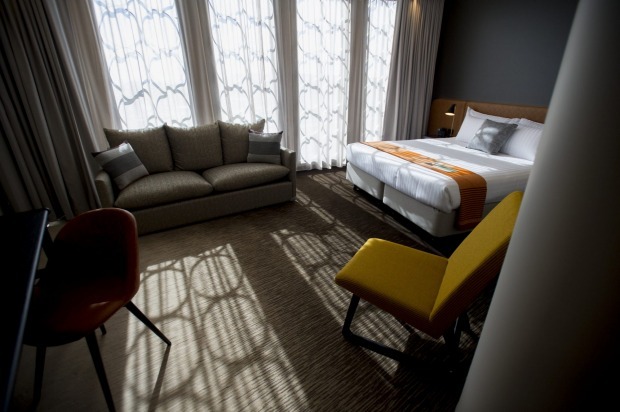 "Ten years ago, the buying decision was about price and features and status," says Rachel Argaman, chief executive of TFE Hotels, which operates Canberra Airport's Vibe Hotel. "What is happening now is that people want a sense of discovery. They want something unique, something individual, something that feels like a whispered secret." 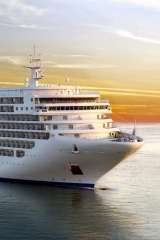 "People who book into a hotel are going there for an experience," agrees Tim Greer of Tonkin Zulaikha Greer. "They want a building they can engage with." 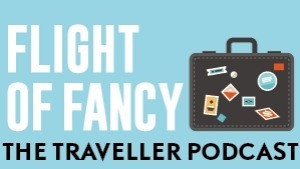 While there is no doubt Australian travellers are more design-aware than before, many of us do not register the intricacies that characterise good hotel design. 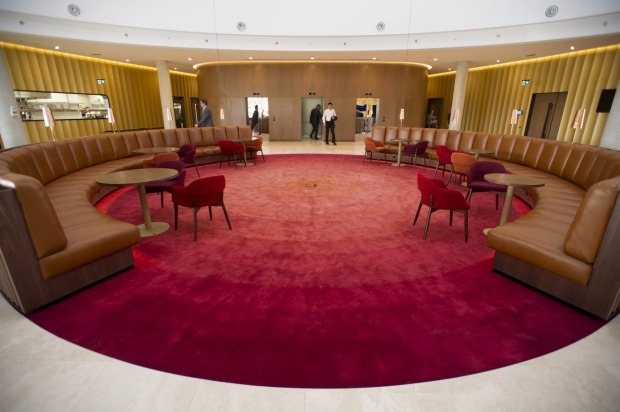 It is doubtful that many of the guests at the Vibe Canberra Airport, for instance, would recognise the circles and triangles that recur throughout the design – from the tiles in the bathrooms to the seating arrangements in the lobby – reflect the geometry of Walter Burley Griffin's plan for Canberra. That is just fine with Philip Vivian of Bates Smart architects, who created the design. "People appreciate good design whether that is conscious or unconscious," he says. "They may simply think, 'That's interesting, I haven't seen that before, it feels right for the location'." 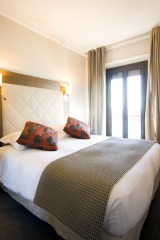 "Your experience of a hotel starts online," says Greer. 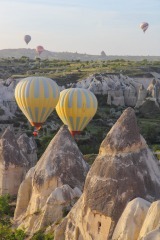 "When you are sifting through 20 different hotels, you will respond to the one that is interesting to look at." Argaman says: "Eye-catching design does help the bottom line. Very often it will get you a higher room rate. But it has to be clever design." Often clever design involves going back to basics. These days, the design team re-examines, and perhaps re-engineers, every element of a hotel. Take the lobby. 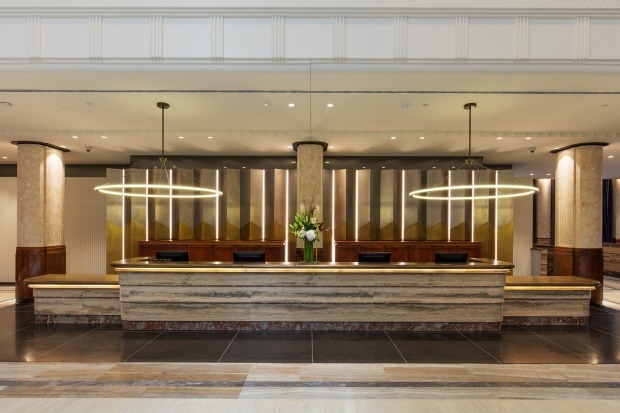 Once simply a space to house the reception desk, today's lobby is seen as the introduction to the hotel and as a space where guests are encouraged to spend time. "It is about how you activate those spaces, how you allow people to mingle or be alone in a crowd," Argaman says. The soaring atrium that defines the Vibe Canberra Airport may be eye-catching but it presented a major challenge, says Philip Vivian, in how to create a space that was at once imposing yet cosy. "You need to balance contrasting needs, to create a sense of drama while maintaining intimacy," Vivian says. "You need to feel comfortable if you have a public event with 400 people, as recently happened, but if you walk in on a weekday and there are 10 or 12 people working on their laptops or having a coffee, you don't want it to feel dead or echoey." 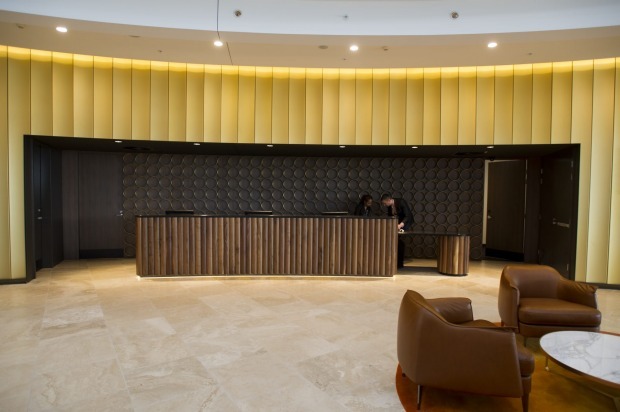 Rethinking the arrival experience was also important to the design team at The Alex in Perth. 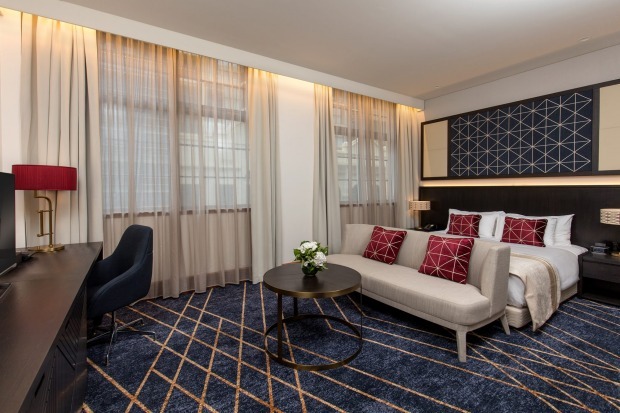 "Personally, when I go to a hotel with a very small reception, I miss the sense of connection," says Miles Hull, The Alex's general manager. "The hotel becomes just a building with rooms." To circumvent that problem, the designers created a ground floor filled with inviting spaces, slipping in a discreet reception desk at which staff stand on the same side as the guests, rather than on the other side of the counter. "We get an immense amount of comments about that from our guests," Hull says. 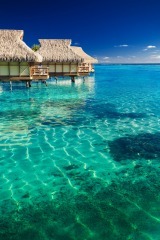 "What it does is make you feel like you are coming home." 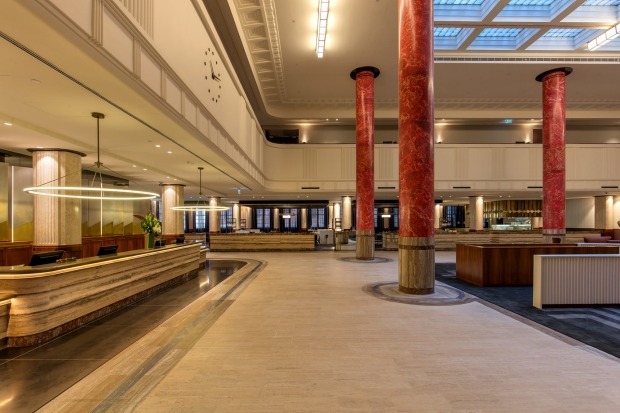 The reception area of the Old Clare Hotel in Sydney is also small and low-key, for different reasons. "When you arrive at The Old Clare, you walk into this great urban space in the middle of a contemporary city," says Greer. "We made the reception a deliberately quiet space. It is when you move into the building itself, with mirrored walkways above and a loud vibrant carpet down the corridor, that things get blingy, full of energy, a bit excited." 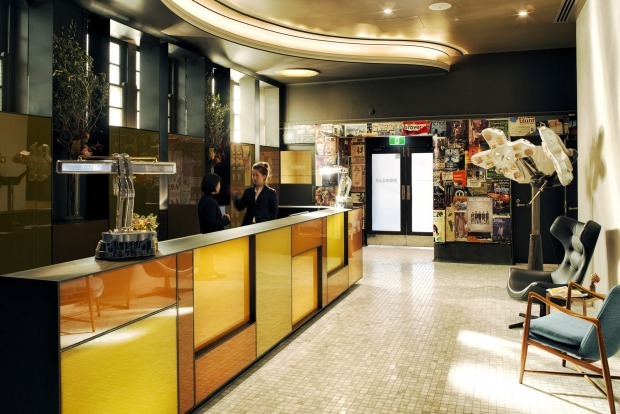 If the entrance experience is of vital importance, getting the rooms right is also essential. "If you give guests a fantastic communal space, they won't say, 'I'm happy with a second rate room'," says Vivian. "At the Vibe, we used much richer materials in the room, where guests will be up close with them. 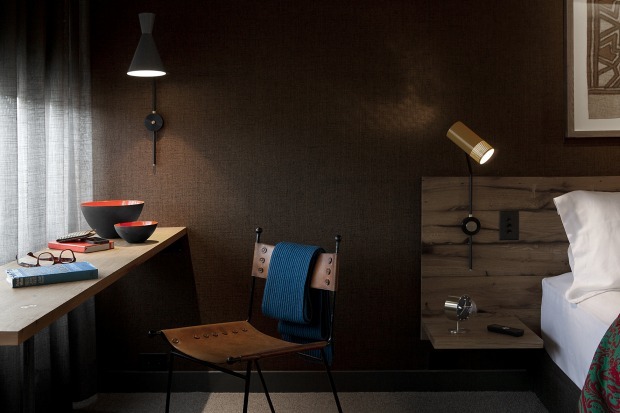 We selected furniture and fabrics that would give a warm, domestic feel." In Perth, The Alex also went for an approach that was more home than hotel. "We deliberately chose [residential, not hospitality-based] interior designers, Arent & Pyke, who create beautiful comfortable homes, not commercial spaces," Hull says. "Your home reflects your personality: the furniture, the colour of the walls, the art, the music you are playing. We wanted that homely feel, an individuality built up by layers of individual pieces." Canberra's Hotel Hotel team took a different approach. Drawing on the idea of the Australian shack in all its permutations, the design emphasises the idea of rawness. With a muted palette of petroleum greens and greys, much of the visual interest comes from the varied textures on the walls, ceilings and floors, featuring everything from raw concrete to felt to clay render. The rooms have an introspective feel, with deliberately dim lighting (spotlights are provided at the work desk and at the bedside table). "We wanted people to feel like they were a little cocooned in their own little space," co-owner Nectar Efkarpidis. While Hotel Hotel was a new build, many of the current crop of hotels, including COMO The Treasury and The Old Clare Hotel, are repurposed office buildings. Wade Little of Woods Bagot Architects says out-of-date offices – many with ornate interiors – represent a major opportunity for designers. "These buildings provide a great legacy for a hotelier to get their hands on and build their brand on," Little says. "Most people have never seen the rich fabric inside. Instead of losing these beautiful spaces, we can reuse and repurpose them." 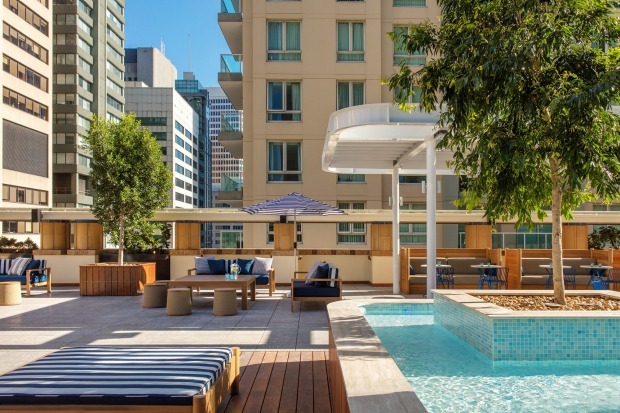 Little has recently been involved in one such project: Sydney's newest five-star hotel, Primus. 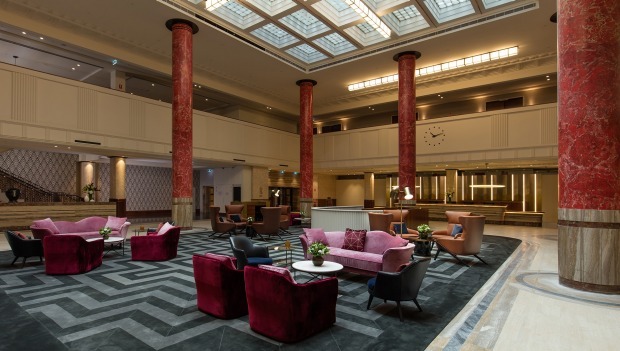 Located in a building that once housed the Sydney Water Board, the restored lobby is positively palatial in its dimensions, its art deco decor dominated by eight-metre high (fake) marble columns and light flooding in through a giant skylight. "It was in dire need of a bit of love," says Little. "The office fit-out was still in there, with old work stations and a terrible blue carpet. 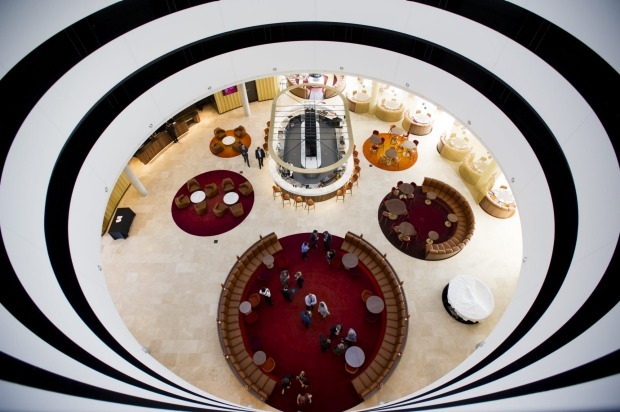 The atrium was concreted in, with an escalator through the middle of it." 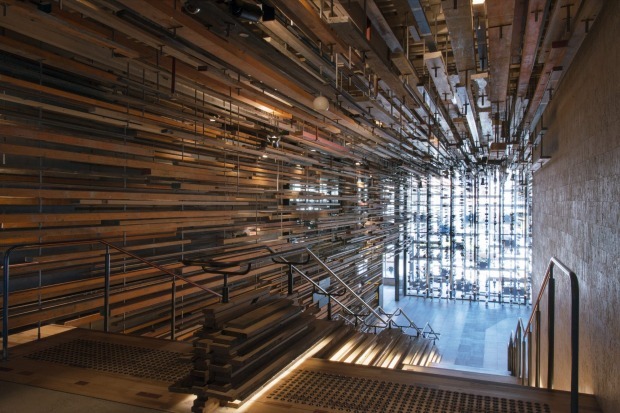 Not knowing what lay concealed beneath the contemporary additions, Woods Bagot originally envisaged a different entrance for the hotel, with a central staircase as the feature. "When we uncovered the atrium we realised it should be the feature, not the staircase, so we moved that to the side," Little says. 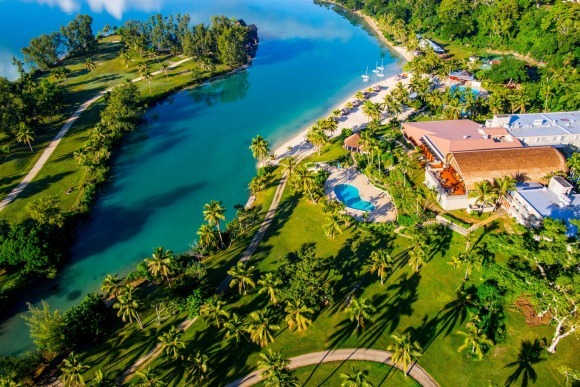 Fortunately the developers, launching the first Primus property outside China, encouraged the architects to spend the time, and the money, to find the best solution for the property. Restoring the damaged columns – made of scagliola, a type of plaster hand-painted with a marble effect – proved to be a challenge. "We had artisans come in from Milan: eight Italian guys who worked six days a week repainting and redetailing," Little says. "Each column took two to three weeks." Little describes the project as a "massive undertaking" that kept the 20-strong design team busy for three years. 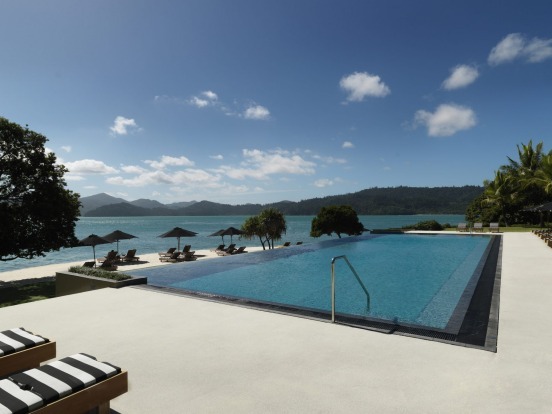 "Our team included interior designers, engineers, and furnishing and fabrics people; we had to think about everything from commissioning the custom-designed carpet to how to get the pool on the roof," he says. 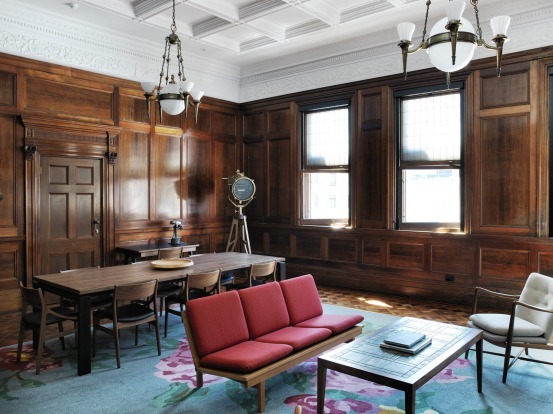 The building's heritage listing meant every detail came under scrutiny. "There are around 300,000 tiles in the fire corridor and every one that had a chip or a mark had to retouched and repainted by hand," says Little. Restorations are not the only projects that require significant manpower. A new build can involve just as much time and energy. Nectar Efkarpidis estimates the design and development process for Hotel Hotel took around four years and involved five separate architects and 75 "makers", or designers and artisans. 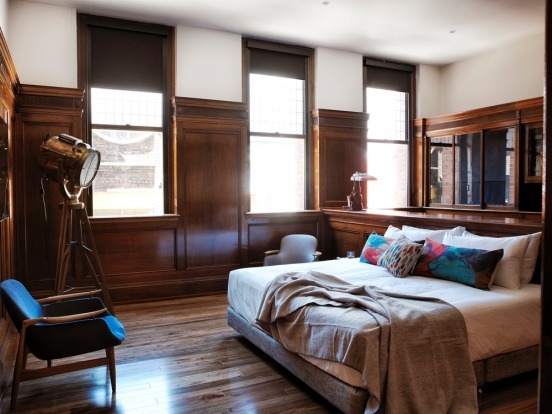 A commitment to showcasing the handmade is part of Hotel Hotel's DNA. "We connect to the investment in something handmade, knowing that some individual spent own their own time, their love and their care," says Efkarpidis. Efkarpidis says commissioning handmade pieces is not necessarily more expensive than buying prefabricated ones but what it does require, however, is time. "If you are interfacing with a multitude of people, having 75 conversations, you can't jam it all into a three week window of procurement," he says. "A small maker is not going to turn something around in three weeks. But if you think about when something is needed, and allow three or four years, those conversations can happen at an orderly pace." 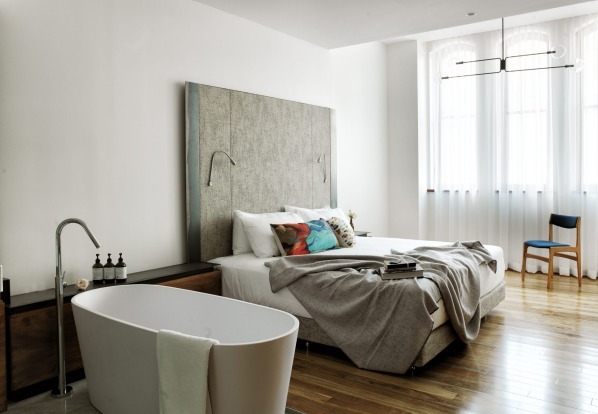 Efkarpidis is not the only hotelier whose commitment to design goes beyond mere aesthetics. "Good design combines beauty and functionality and efficiency," says Argaman. At the Vibe Canberra Airport, for instance, the bedside tables are equipped with mobile chargers and power points are located above the desk rather than on the floor, saving travellers the indignity of getting down on their knees every time they want to plug in the laptop. 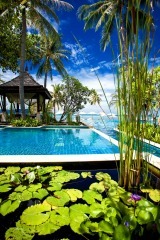 Sustainability is also a key design consideration. It is not just the accountants who are interested in a building's energy efficiency, says Argaman, "consumers don't want a massive carbon footprint". Sustainability is about more than just energy consumption, of course. Argaman says our increasing awareness of the fragility of the natural world is influencing hotel aesthetics. "We live in urbanised environments, we have a huge call to green in our soul," she says. 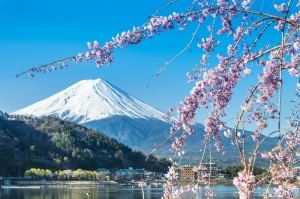 That explains the increasing amounts of natural materials, from rock face walls and bamboo floors to water features, being featured in hotel designs. Sustainability and dramatic design meet in a wonderful fashion in Hotel Hotel's celebrated wooden staircase. One publication described it as "the Millenium Falcon going into hyperdrive" – an odd description that only makes sense once you have actually seen it. For Efkarpidis, the most remarkable thing about the staircase is that it was made of discarded timber. "The idea of re-use, that you can deliver a really beautiful thing with throwaway materials, is really potent," he says. "That staircase has more credibility when it comes to environmental sustainability than a 10,000-page document no-one is ever going to read. It is important that we create these examples."